It’s that time of year where we are out with the old and in with the new. You may find yourself dusting and organizing as spring fast approaches. While keeping your house in tip top shape is great, it’s also important to keep your oral health at its best as well. Not only does a cleaning take away those coffee and wine stains, it also serves many purposes to help better your overall health. Plaque left on your teeth leads to tooth decay. Tooth decay can become painful and if left untreated can become costly. Tartar or calculus left under your gums can lead to periodontal disease and eventually possible loss of your teeth. 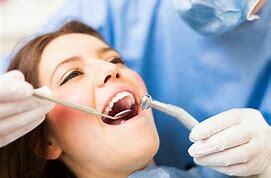 You can decrease the likelihood of either of these two situations by regular dental cleanings.